During March, National Kidney Month, TMA encourages you to discuss the importance of kidney health during your Walk With a Doc Texas events. If you do, you’ll receive a WWAD Texas water- and wind-resistant jacket. Simply pick a day for your walk (your regular walk day or an additional walk day), then select a kidney disease-related prevention topic from the National Kidney Foundation or select your own. At the event, have walkers complete a short survey, and email TMA the findings. Walk With a Doc Texas is funded by a grant from the TMA Foundation with generous support from TMA Insurance Trust, Blue Cross and Blue Shield of Texas, and Prudential. There are currently 12 medical schools, including yours, in Texas, with several more under development. Every one of those schools is outstanding in its own way, but each one also is missing something: A Walk With a Doc Texas program. Wednesday afternoon, most of Texas’ physician-legislators participated in the first-ever Walk With a Doc Texas (WWAD) event at the Capitol. Sens. Buckingham, Donna Campbell, MD (R-New Braunfels); and Reps. Tom Oliverson, MD (R- Houston); J.D. Sheffield, DO (R-Gatesville); and John Zerwas, MD (R-Simonton) — as well as their colleagues Sen. Sylvia Garcia (D-Houston) and Rep. Rick Miller (R- Sugar Land) — all came out to lead more than 40 participants on a walk around the Capitol grounds. They, along with Senator Schwertner and Rep. Greg Bonnen, MD (R-Friendswood), co-sponsored the event. WWAD, a national initiative started by an Ohio physician, promotes physical activity. The first-ever capitol walk also raised awareness about the national initiative, in which more than 30 TMA member physicians host walks in their own communities across Texas — motivating thousands of patients and neighbors to get out and get active. Walk With a Doc is a non-profit organization that encourages healthy physical activity in people of all ages, and seeks to reverse the consequences of a sedentary lifestyle in order to improve the health and well-being of the country. 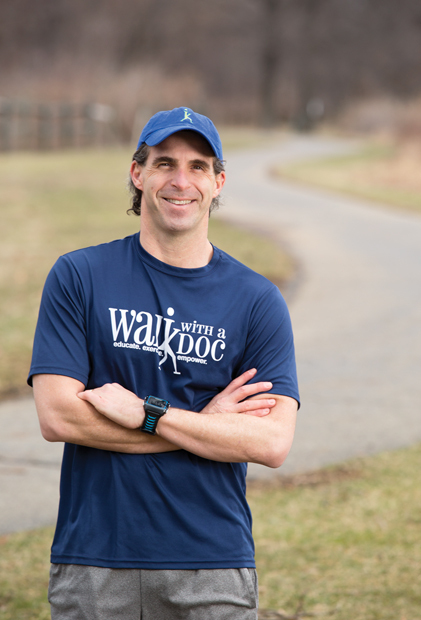 Walk with a Doc was started in 2005 by Dr. David Sabgir, a board certified cardiologist in Columbus, Ohio who practices with the Mount Carmel Health System. TMA is now part of this national grassroots movement. Walk With a Doc Texas has a proven track record of helping people commit to a healthy lifestyle through monthly, physician-led walks throughout Texas. Getting started is easy. First, if you're not already a TMA member, join today and the program start-up is FREE (a $3,000 value). Secondly, email founder David Sabgir, MD or contact their office by phone at (614) 714-0407. WWAD Texas is funded by a grant from the TMA Foundation with generous support from TMAIT, BCBSTX, and Prudential. Walk With a Doc Texas is funded by a grant from the TMA Foundation with generous support from the TMAIT, BCBSTX, and Prudential. TMA members benefit from the grant in many ways. From start-up costs and marketing materials, to liability insurance and administrative support from the WWAD team, your event is sure to be a success. Contact their office by phone at (614) 714-0407. Not sure how to get started? Here’s a list of tips, resources, and best practices to get you to the finish line. 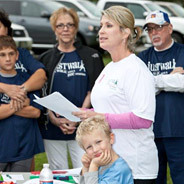 See the latest Walk With a Doc Texas news from TMA and other media outlets. Got Walk With a Doc Texas questions? Call the Knowledge Center. Media exposure is a free, effective way to get the word out about your event. Use this guide to alert local media to your event and help ensure they cover it.